Did you take the course yet? 01/04/2017 - Travis H makes his first solo flights at Martin State. 63Y – 2018 Annual Inspection completed along with some much needed updates and upgrades. Other events can be found on out “ticker” page. Some of the goals of the Essex Flying Club are to provide ready access to the aircraft, camaraderie, and more affordable flying to all members. That means maintaining aircraft in top condition to provide reliability, ensure the safety of our members, and to protect the investment we are making. Safety and competence are the foundation of the 10 member Essex Flying Club. With a “use it or lose it” monthly fee that provides 2.5 hours of tach based flight time, members get truly affordable flight time and can easily remain current. Our roster of 10 members is full and closed to new applications at this time. We have an extensive waiting list and hopefully we will be able to grow as we get more experinced in this endeavor. We thank those of you who have already added their names to the list. We are also considering the possibility of creating a non-flying, supporting club membership that would include, among other things, monthly BBQ, the possibility of rides with our licensed members and educational initiatives as well. If you might be interested in becoming a non-flying supporting member of the club, drop us a note at info<at>essexflyingclub.org – We’d love to hear from you. It is with a heavy heart that we say good-bye to our friend and chief flight instructor Max Lichty after losing his battle with cancer. We will always have fond memories of Max and the Club will continue to operate in his honor. I am certain he will be with us on every flight. Blue skies Max, thank you. There are not too many people in the Baltimore/Maryland flying communities who do not know Max Lichty. Max has been an anchor at Essex Skypark for the better part of a half century, instructed for thousands of hours and has trained dozens of new pilots here. Within our community you have either flown with Max, were instructed by him, listened to his advice or simply enjoyed his company. 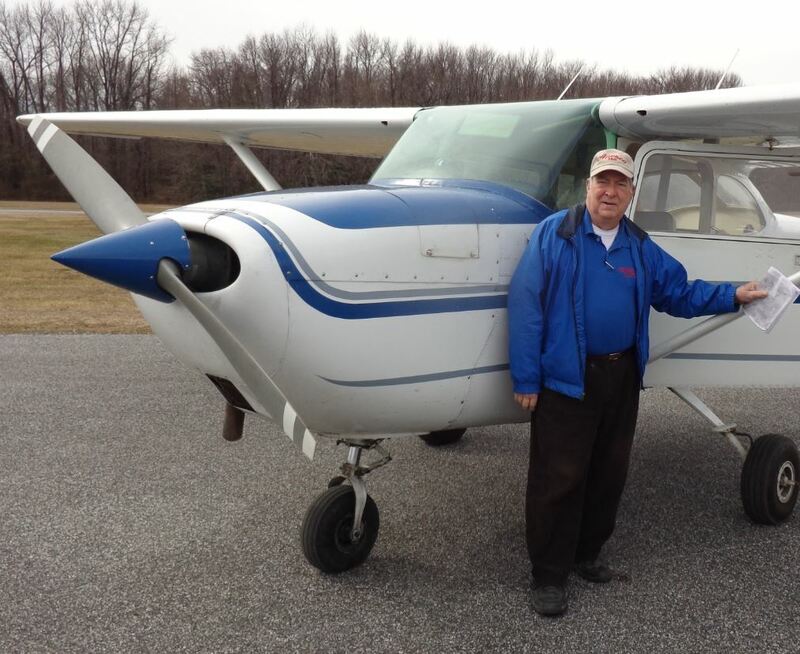 To honor our friend, it is with pleasure that we announce the club will now be known as The Max Lichty, Essex Flying Club.